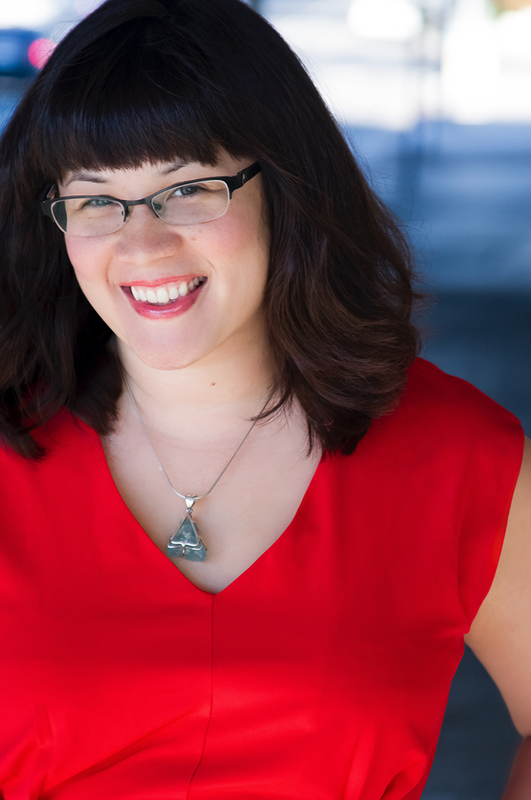 Short Bio: Sarah Kuhn is the author of the popular Heroine Complex novels—a series starring Asian American superheroines. The first book is a Locus bestseller, an RT Reviewers’ Choice Award nominee, and one of the Barnes & Noble Sci-Fi & Fantasy Blog’s Best Books of 2016. Her YA debut, the Japan-set romantic comedy I Love You So Mochi, comes out in June 2019. Additionally, she is currently working on a graphic novel about Batgirl Cassandra Cain for DC Comics. Sarah also wrote “The Ruby Equation” for the Eisner-nominated comics anthology Fresh Romance and the novella One Con Glory, which is in development as a feature film. Other projects include a comic book continuation of the cult classic movie Clueless, a series of Barbie comics, and a story in the recent Jem and the Holograms anthology series Dimensions. Additionally, Sarah is a finalist for the John W. Campbell Award for Best New Writer. Her non-fiction has appeared in The Toast, The Mary Sue, Uncanny Magazine, AngryAsianMan.com, IGN.com, The Hollywood Reporter, StarTrek.com, and the Hugo-nominated anthology Chicks Dig Comics. Long Bio: Sarah Kuhn is the author of Heroine Complex—the first in a series starring Asian American superheroines—for DAW Books. Pitched as “The Devil Wears Prada with superheroes,” the first book chronicles the adventures of Evie Tanaka, a put-upon personal assistant who is forced to pose as her diva superhero boss and must embrace her own hidden talents in order to protect our world from a demonic invasion. Also featured in this book: evil cupcakes, hot romance, and supernatural karaoke battles! Heroine Complex Book #1 is a Locus Bestseller, an RT Reviewers’ Choice Award nominee for Best Urban Fantasy, and one of the Barnes & Noble Sci-Fi and Fantasy Blog’s Best Books of 2016! You can learn more and read an excerpt right here! And check out the exclusive cover reveal on io9! For more on Heroine Complex (excerpt, buy links, praise), go here. Book #2 in the series, Heroine Worship, is out now! The book is an Amazon Best Book of the Month, a Book Riot pick for Best Books We Read in May, a Den of Geek Summer Reading Pick, a Ripped Bodice Best Book of the Year, and a nominee for RT’s Seal of Excellence. Check out the cover reveal on Barnes & Noble’s Sci-Fi/Fantasy Blog! Book #3, Heroine’s Journey, was just released this summer! You can also order signed books through The Ripped Bodice! And don’t forget to add the book on GoodReads! Sarah’s YA debut, the Japan-set romantic comedy I Love You So Mochi, will be released by Scholastic in June 2019. Additionally, she is currently working on a graphic novel about Batgirl Cassandra Cain for DC Comics. Recently, she wrote The Ruby Equation (with artist Sally Jane Thompson) for the Eisner-nominated romance comics anthology Fresh Romance and a story for the anthology series Jem and the Holograms: Dimensions (with artist Siobhan Keenan) for IDW and is currently writing a comic book continuation of the cult classic movie Clueless (with co-writer Amber Benson and artist Siobhan Keenan) for Boom! Studios and a series of Barbie comics (with artists Alitha Martinez and Yishan Li) for Papercutz. Additionally, she has written personal essays on Sailor Moon cosplay, Asian American representation, and geek girl culture for The Toast, Uncanny Magazine, The Mary Sue, Apex Magazine, AngryAsianMan.com, Syfy Fangrrls, and the Hugo-nominated anthology Chicks Dig Comics. A longtime entertainment journalist, her articles on everything from Oscar season to Vulcan mating rituals have appeared in Back Stage, Geek Monthly, IGN.com, The Hollywood Reporter, StarTrek.com, Creative Screenwriting, and The Oakland Tribune. Sarah has been featured as a guest speaker at such events as the Los Angeles Times Festival of Books, the Vancouver Asian Film Festival, Santa Monica Public Library’s “Women to Watch Out For,” and ComiqueCon and appeared on popular panels like San Diego Comic-Con’s “Geek Girls Exist,” “Super Asian America,” and “Sci-fi That Will Change Your Life,” GeekGirlCon’s “Geek Girls in Popular Culture,” New York Comic-Con’s “We Need Diverse Books: #WhitewashedOut in Books & Media,” and WonderCon’s “Not Your Sidekick: Heroes of Color” and “Building the Modern (Super)Heroine.” In 2011, she was selected as a finalist for the CAPE (Coalition of Asian Pacifics in Entertainment) New Writers Award. She is represented by Diana Fox of Fox Literary. Email Sarah or find her on Twitter and Facebook. If you are press interested in covering Heroine Complex, please contact Alexis Nixon. Cupcake art by Sina Grace. Superheroine art by Paul Horn. Banner design by Jeff Chen. Headshot by CapozKnows Photography.